It is surprising today that so few home care agencies have embraced the idea that consumer reviews are the least expensive and most powerful influencer as to which agency gets telephone calls when home care is needed – particularly from family members searching from out of town. A local reputation is good, but for people who have no idea of whom to call, Google stands in as the most influential arbiter of which agency current and past clients seem to trust. In fact, 64 percent of prospective clients (including family members doing the search) report they are likely to check online reviews on Google before calling an agency. And, what makes Google reviews particularly important is the fact that consumers see them anytime Google interprets their inquiry as a “local” search. A local search in any one in which generic name of the business (“home care”) and the geography in which the service is needed (“a town in your service area”) are entered into the search bar. NOTE: Your Google listing has the ability to include far more cities that just your post office address. If you are unclear about how to do this, we will give you that information quickly and for free. Just click on the link below. Perhaps good news is a new trend among consumers to write reviews about their positive experiences rather than negative ones. In years past this was less so. 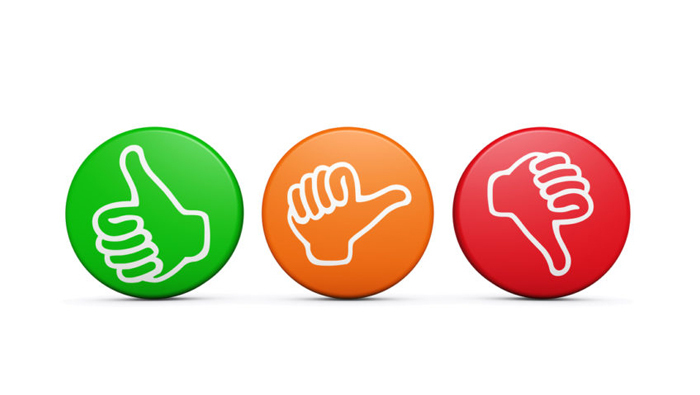 Positive reviews are a powerful way to establish trust with prospective clients. They form a third-party validation that is vastly more powerful than any self-claims of quality and caring. Whatever positive phrases you would like to see published, a current or former client who speaks the same words, have far more credibility. The key, of course, is to make sure that a review is real and believable. This occurs when the review includes the name of the actual caregiver and enough detail that the words do not sound “canned”. People speaking from their hearts tend to “feel” real. Additionally, a review appearing on a third-party website like Google, is seen as more credible because the agency that received the testimonial cannot selectively choose which reviews to display. With a few exceptions, home care agencies generally do not have any reputation – good or bad. When a prospective client stumbles across an agency for the first time, they are not sure whether the agency can be trusted. A significant number of online reviews can be the easiest way to put doubts to rest and generate an inquiry phone call. Reviews simply posted on an agency’s website are always more suspicions to the prospective client than those generated on third-party sites like Google or Facebook. The frequency, recency and quality of reviews all impact their relative value in improving Google rankings. Frequency shows a steady flow of reviews rather than sporadic mentions spaced months or years apart. Recency is key in that the “freshness” of reviews tends to be a positive indicator for ranking in Google. Quality is, of course, important. The higher the average number of stars you get not only influences Google, but, more importantly, prospective clients. It is the only statistical basis for making a comparison. Psychologically, it is very powerful in decision-making. Rowan Reputation Resources has developed tools specifically focused on the home care audience. Obtaining reviews from older people or family members that do not live close by is often a challenge and, generally, results in fewer reviews being obtained by home care agencies. With the RRR system, clients may leave reviews by simply speaking into their own cell phones at a time encouraged by a member of your staff. The whole process takes less than two minutes and has powerful marketing implications for the agency. Another way is to provide a link in an email that takes the client to the exact place where they leave the review without looking anything up or searching for the right page. To learn more, please tell us about your particular situation by clicking on this link: www.rowanreputationresources.com/contact-us.